This story is about a nice guy called Jack. Jack always understood his responsibilities towards the environment. He preferred bicycle over a car for small distance travel. He would get irritated if he saw someone print something that was unnecessary. He was absolute environment-friendly in every sense. Jack now owns a ship management company and he got a chance to showcase his services to a prestigious ship owner. At the end of his presentation about his company, Jack thought to himself; “Well done boy”. But jack was awestruck when the ship owners said; Sorry Jack, but we only work with companies that care for the environment. No one care for the environment better than me and my company sir; replied Jack with confidence. 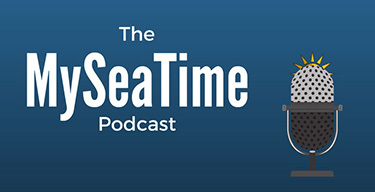 Jack’s confidence was short lived when the shipowner asked him “do you have proof”? Jack has one month to prove that his company cares for the environment. Someone suggested him to get ISO 14001 accreditation but he had no idea what it is. After all, he has just got into the ship management business. Let us help jack understand how he can prove to the shipowner that his company cared for the environment. 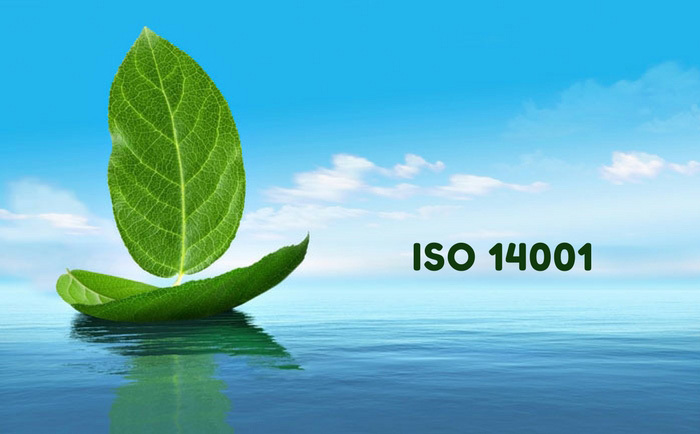 Let us understand ISO 14001. As the name suggests, ISO sets the standards for the companies to adopt. For example, when you go to a bank to open an account the first thing you would be worried about is the data security of the bank. You do not want your money to disappear overnight. You ask the bank manager about data security and he says they have strict data security. ISO certification regarding the standards of IT application in banking could be one of the proof. These would have all the standards required for the banking sector ranging from the minimum digits for the ATM card pin, standards for the ATM magnetic chip to the standards for online transactions. 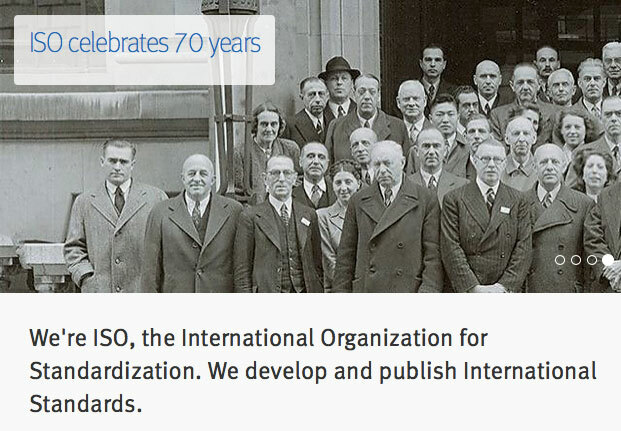 ISO has set the standards for each and everything we use and comes across in our daily life. Standards for coffee, standards for watches, standards for medicines and standards for bridges. Like this video says, every day is a standard journey. So ISO sets the standards and give guidelines on how to achieve those standards. Each standard is given a number. ISO 14000 family is the set of standards for the companies looking to manage their environmental responsibilities. 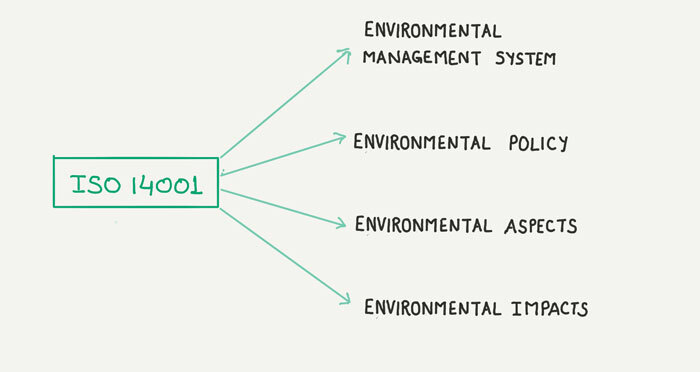 ISO 14001 is one of these tools of the ISO 14000 family of standards. ISO 14001 is the standards that set the specifications for the environmental management system. But why we focus only on ISO 14001 and not on other environmental standards of ISO14000? This is because ISO 14001 is the only one that allows it to be certified. All other ISO 14000 standards are self-certification types. Out of a number of guidelines in the ISO 14001 standards, there are four that need to be stressed upon the understanding of ISO 14001. To be ISO 14001 compliant, all Jack has to do is develop the company’s Environmental Management system as per the guidelines provided in ISO 14001. 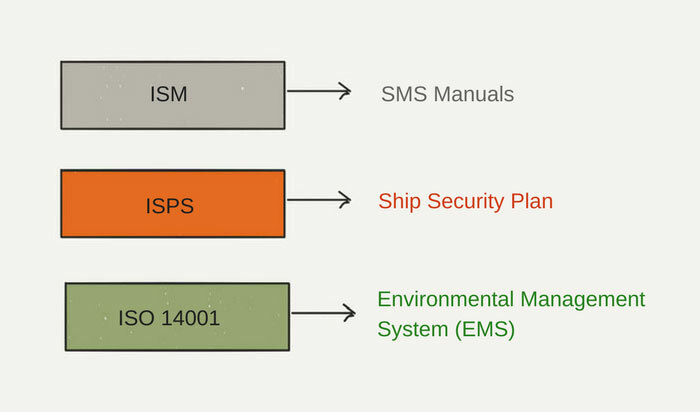 The EMS to the ISO 14001 is same what SMS manual is to ISM code. ISM code provides the guidelines of what is required for the company and ship to be ISM compliant. SMS manual is the company (and ship) specific document describing how these requirements are being met. For example, ISM code requires the company to nominate the designated person ashore and also enlists the duties of the DPA. ISM code requires the company to give specific instructions to the ship about maintenance of the equipments. SMS manuals provide these specific instructions applicable to that ship. In the same way, EMS is the company-specific document that specifies how each requirement mentioned in the ISO 14001 is being met. For example, ISO 14001:2015, clause 5.1 requires the top management to demonstrate leadership and commitment with respect to the environmental management system. EMS need to mention specifically how the company’s top management commit themselves towards the environment. Senior management’s regular visits to the vessels to get the first-hand information on how environmental compliance can be improved upon. Management’s policy that they will only work with suppliers that have recycling policy for the packaging material even if it costs the management more in the shorter run. The idea is that if we need to comply with this clause, then we must have the specific points in the EMS as to how company complies with this clause. Another example is the clause 7.2 of the ISO 14001 which is regarding the competence of the people. If the staff of the company is not competent, there are higher chances of accidents which could include accidents related to pollution. For this ISO 14001 clause, we need to mention in the EMS as to how the company ensures that the staff is competent to perform their duties. 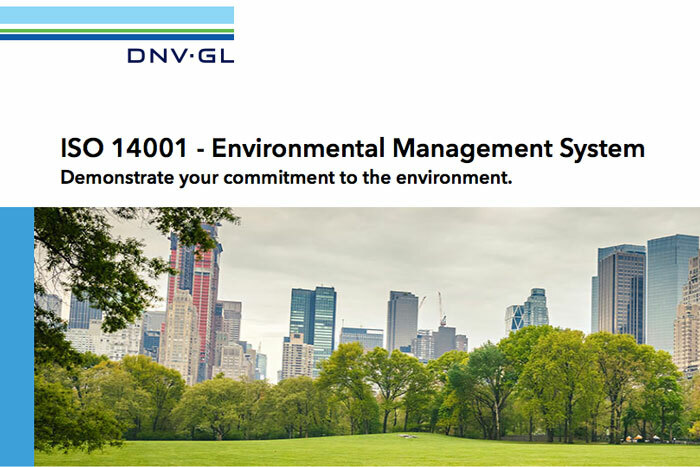 ISO 14001 is all about environmental management system. And once all the clauses of ISO 14001 are covered and taken care of, the EMS of the company is considered ready. But I have so far discussed two simple examples of clauses in ISO 14001. Let us discuss few other important clauses of ISO 14001 in more detail. 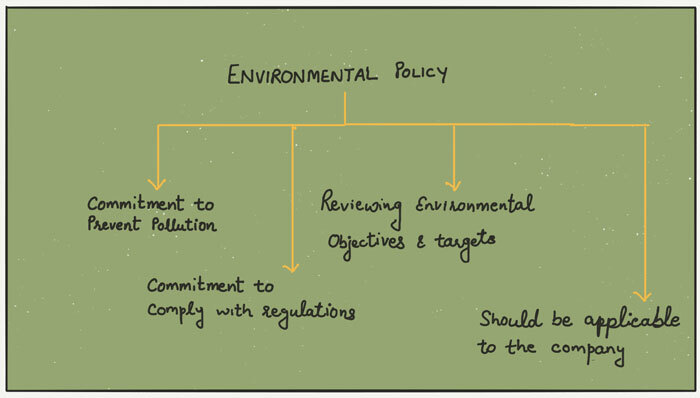 ISO 14001, clause 5.2 requires company to have an environmental policy. In simplest of the words, a policy is a statement of intent. When we talk about the environmental policy of a company, it is supposed to provide the information about the intention of the company with regard to the environment. ISO 14001 provides the information about what minimum elements need to be there in the environmental policy. Once Jack’s company has a good drafted environmental policy covering these points, it would have covered the ISO 14001 clause 5.2. ISO 14001 Section 6.1.2 requires the company to determine the environmental aspects of its activities. Environmental aspect seems to be a complicated term but don’t worry. I will simplify it for you. Let us understand this with a simple example. Let us say that your job requires you to print a document every month and file it. Printing the document is your activity. 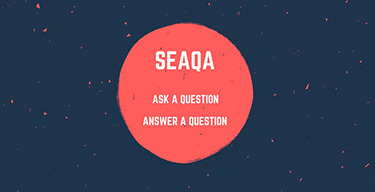 Let us understand the environmental aspects of this activity. Which elements of this activity are interacting with the environment? You coming to office, sitting on the chair isn’t harming the environment. 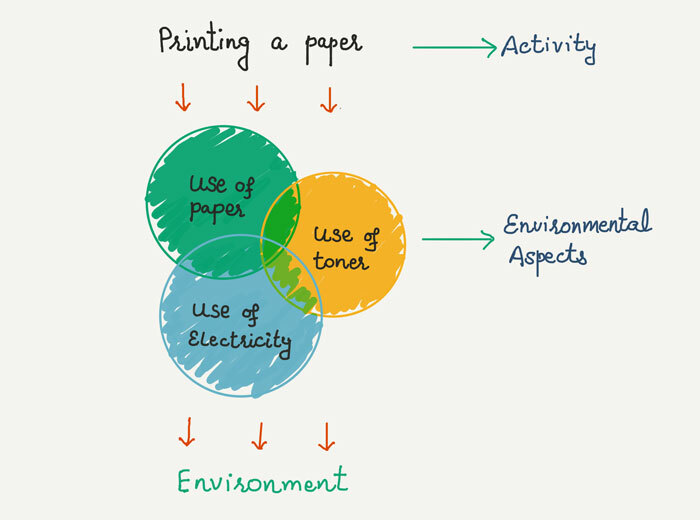 Use of electricity, use of paper and use of toner cartridge in printing a paper is what is harming the environment. This is an environmental aspect of a single activity called “printing something”. ISO 14001 requires the company to determine (and make a list) of environmental aspects of all their activities. When we know what elements of our activities are causing harm (or doing good) to the environment, we can work on to reduce its effect on the environment. So for Jack, let us see few examples of the environmental aspects of activities performed on the ship. Let us take Loading of cargo on tankers. Can you think of the environmental aspects of this activity? 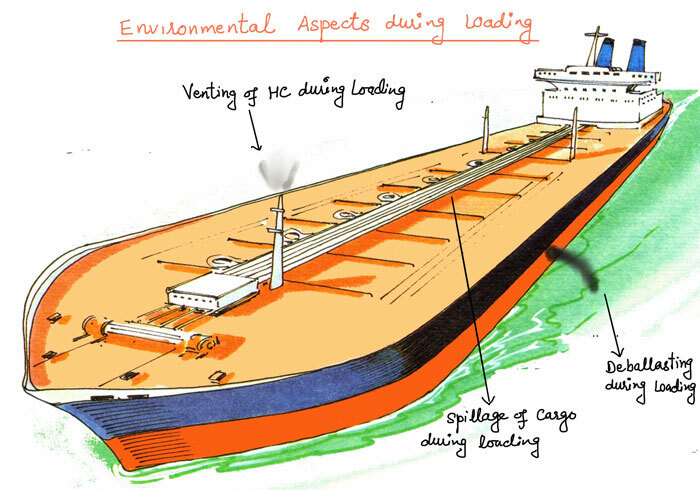 Which elements of loading on tankers are interacting with the environment? Here are some of these. change to the environment, whether adverse or beneficial, wholly or partially resulting from an organization’s environmental aspects. Let us come back to the “printing a paper example”. We identified three environmental aspects of this activity. What harm (impact) these environmental aspects are causing to the environment? 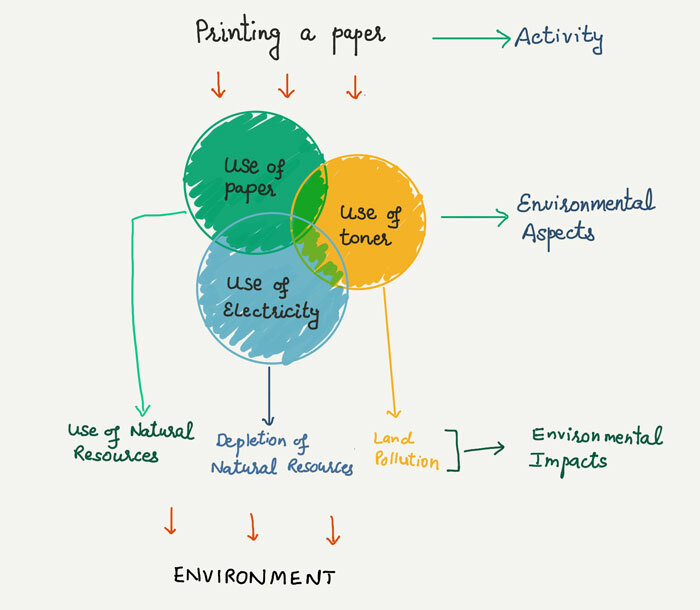 These are the environmental impacts that the identified environmental aspects are creating. 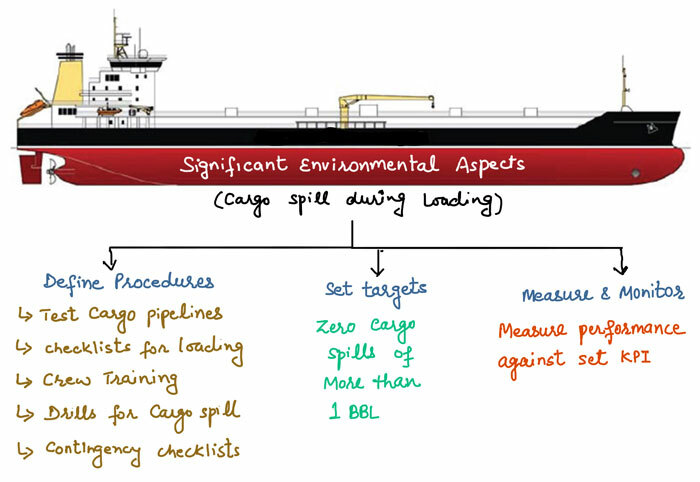 Now think of the environmental impacts of the environmental aspects we identified for loading of cargo. Jack need to make all the list of the activities performed by his company with their environmental aspects and environmental impacts. determine those environmental aspects that have or can have a significant environmental impact. Because we cannot manage everything. It will do more good to the environment if we focus on our activities that are harming the environment most. We need to identify the significant environmental aspects of our activities and need to address these. Let us say that Jack identified the cargo spill to be a significant aspect of cargo loading operation. It means that this environmental aspect has the potential to harm the environment (impact) significantly. Jack needs to address this aspect. And Jack needs to measure the company’s performance for the set targets and objectives. For example, in this case, each quarter, Jack need to measure the number of cargo spills of more than 1 bbls. Similarly, Jack needs to set the KPIs for all the significant environmental aspects and then measure and monitor the company’s performance against these KPIs. The significant aspects are identified by the Aspect-Impact assessment which is based on the principle of risk assessment. 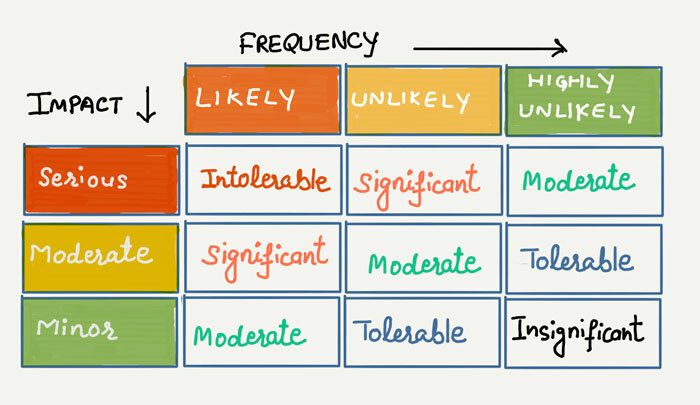 It takes into account the severity of the Impact and the frequency of the activity and its environmental aspect. ISO only sets the standards. It does not certify a company for adopting these standards. But there are independent organizations that audit the companies against the ISO standards and certify that the company has set all the standards as per the ISO. Same goes for the certification of ISO 14001. 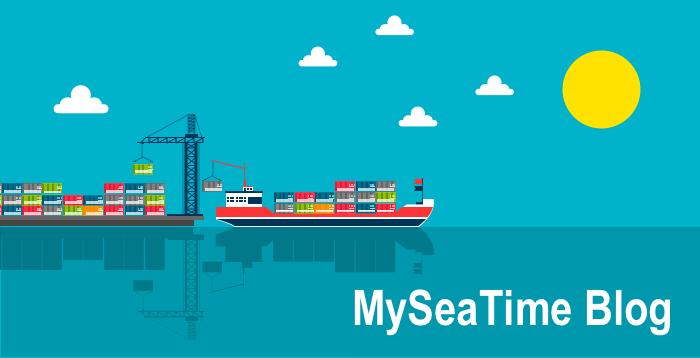 In shipping, usually, all classification societies can act as the Independent Auditors for verification of ISO 14001 standards of the company. DNV-GL is one of these classification societies. Once Jack has covered all areas of EMS as per ISO 14001, he needs to approach an independent auditing company to audit and accredit his company for having the EMS as per the standards of ISO 14001. Jack now understands how to prove that his company cares about the environment. He understands that it is not only the intentions that matters, we need to have a plan. A plan to improve our environmental performance over a period of time. Environmental management system provides that plan for the companies to list, measure and improve their environmental performance. ISO 14001 sets the required standards for an environmental management system (EMS) for a company. Jack has developed the EMS for his company and has got the ISO 14001 accreditation from an independant company such as DNV-GL. He will be having his meeting with the shipowner soon and is very optimistic about securing this deal. very good knowledge sir, thank you very much sir. Thank you Mr.Rajeev jassal for your all writings that you make all topics very obvious and easy to understand .